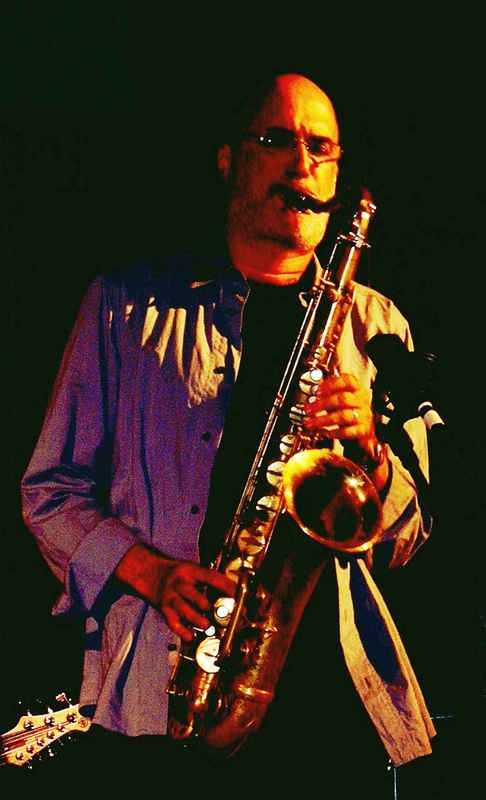 Any budding sax player of the ’80s was learning Michael Brecker licks. Jazzers loved his post-Coltrane superchops and forensic exploration of every chord. Funk and pop fans loved him because he could play absurdly-tight horn arrangements with his trumpet-playing brother Randy and also solo superbly over vamps, finding endless melodic ideas in the simplest two-chord changes. Brecker formed Steps Ahead (originally Steps) with fellow New York masters vibraphonist Mike Mainieri and bassist Eddie Gomez, put together initially for the Japanese market. Steve Gadd was their original drummer, replaced in the early ’80s by Weather Report man Peter Erskine. Steps Ahead’s self-titled debut album showcased a mostly-acoustic fusion sound, but the follow-up Modern Times embraced all sorts of ’80s technology to intriguing effect. Of course such tinkering opens it up to sounding somewhat dated these days, but at least the album has ambition, quality compositions and the kind of attention to detail that makes it an interesting companion piece to key mid-’80s works like The Flat Earth, Hounds Of Love, Boys And Girls and So. Opener ‘Safari’ kicks off with a vaguely Caribbean/reggae groove featuring a multitude of synths and sequencers and a tribal, almost Zawinulesque melody. With repeated listens there are many pleasures to be found; Brecker’s typically incisive tenor solo, Erskine’s subtly-building groove work, the slinky bass line which rumbles on throughout. Equally arresting is pianist Warren Bernhardt’s title track, a modal piece built over another serpentine, sequenced line, developing into a series of lovely vignettes featuring Brecker’s solos and some very Steely Dan-ish chord progressions. Mainieri’s composition ‘Old Town’ features King Crimson/Peter Gabriel sideman Tony Levin playing some menacing Stick over the sort of exotic, ambient groove Bryan Ferry would utilise on Boys And Girls a year later. And ‘Radio-Active’ taps into some of the World vibes Peter Gabriel investigated throughout the ’80s. Unfortunately a few tunes let the side down, drifting uncomfortably into smooth jazz territory. Mainieri’s composition ‘Self Portrait’ is almost saved by a lyrical Brecker solo but far too saccharine for my tastes, while Erskine’s ‘Now You Know’ features a melody line (Brecker on soprano) which, though memorable, veers scarily towards Kenny G.
And it has to be said that Eddie Gomez’s role in the band was diminishing very fast, so anonymous is his contribution. He would be gone by the next album Magnetic, replaced by ex-Weather Report man Victor Bailey.